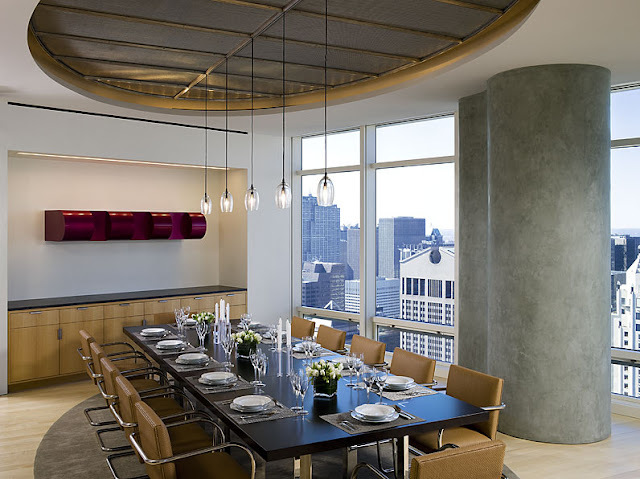 This is one of the best penthouses in New York City at the moment, rising above the streets, offering breathtaking views of Central Park. 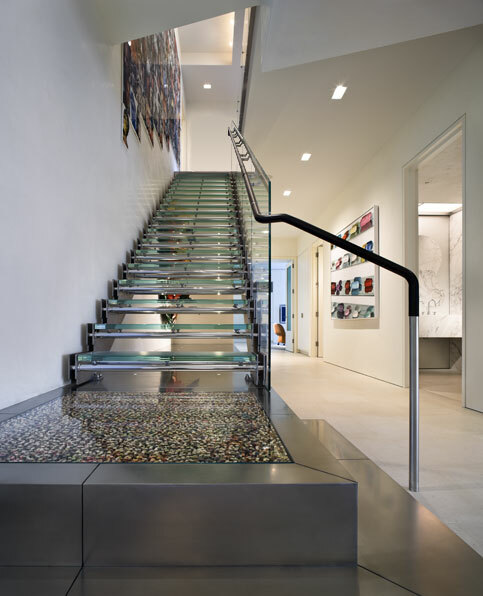 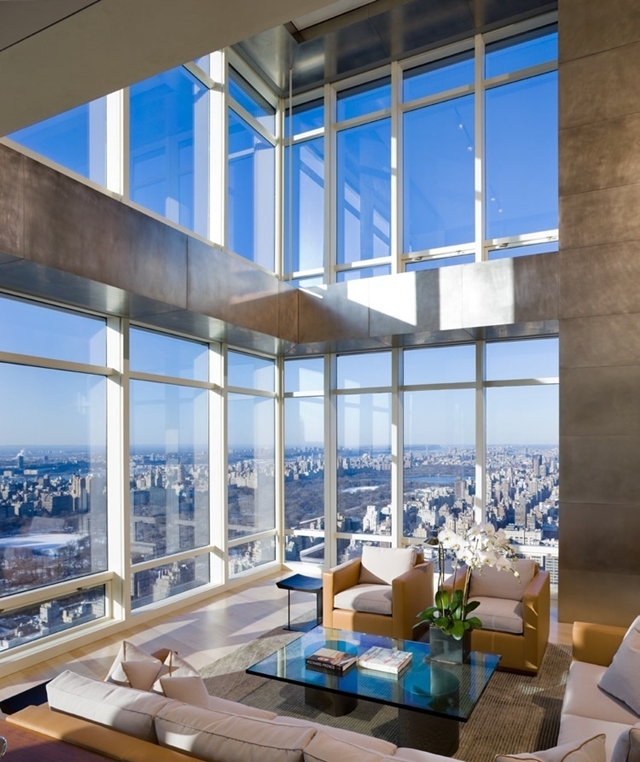 This incredible duplex on top of Bloomberg Tower is work of Gwathmey Siegel Kaufman & Associates Architects. 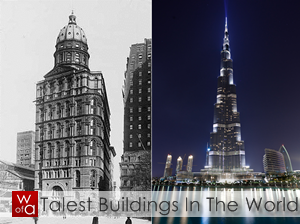 "The design of this 8400 square foot duplex apartment on the 51st and 52nd floor of the Bloomberg Building on the east side of Manhattan required major floor removal and curtain wall structural reinforcement to accomplish the spatial and programmatic requirements. 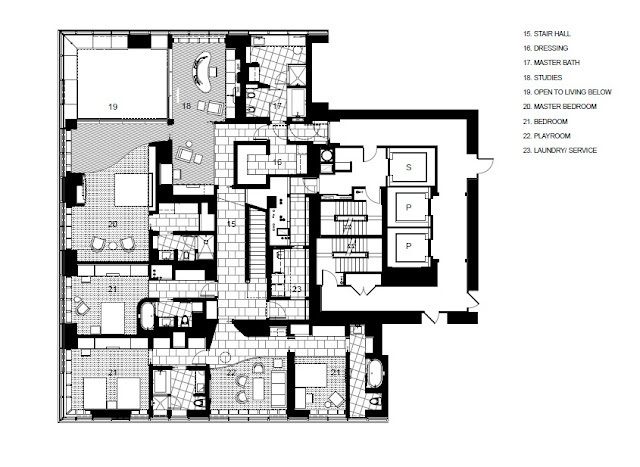 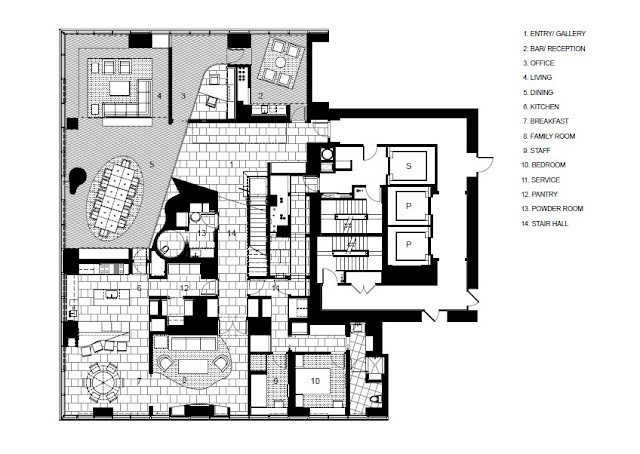 The mandate was to accommodate a family with four children’s bedrooms and sitting room, two working offices, master bedroom suite, living/dining, gallery space, kitchen/breakfast space with connecting sitting room, with both a sense of privacy and loft-like volumetric expansiveness, while simultaneously allowing the installation of a major modern art collection. 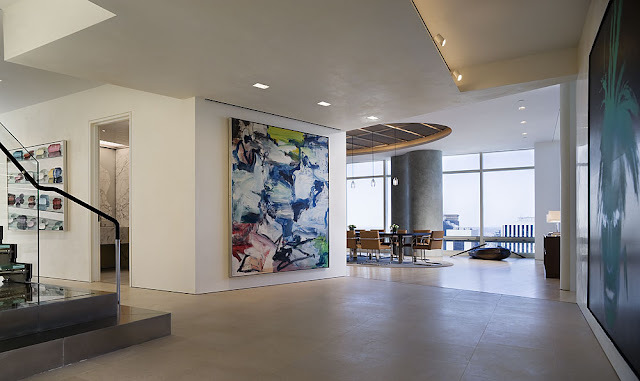 The goal, through both the material palette of white Venetian integral plaster, stainless steel, maple floor, and white lacquer cabinets and the sculptural spatial articulation would both engage and counterpoint the spectacular 360° panoramic views of the city and beyond with a sense of serenity within a unique oasis environment." 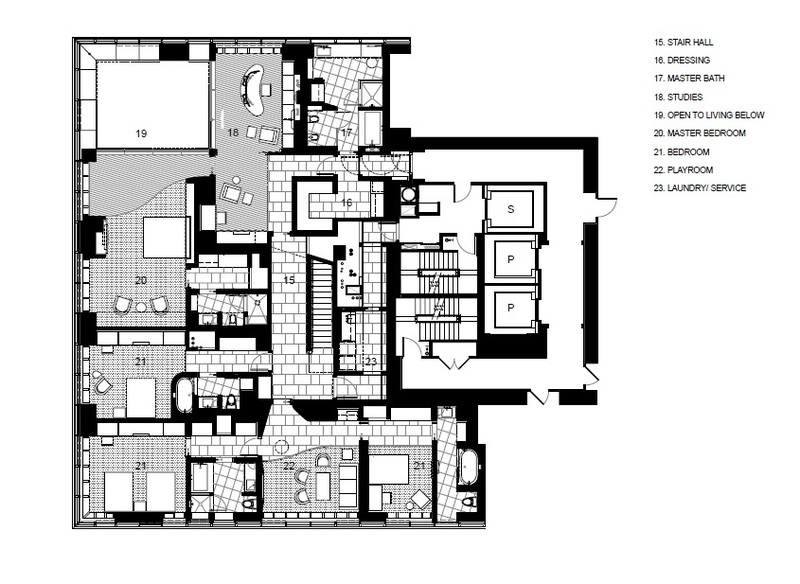 Take a look at more penthouses.